90 lenses per box @ $81.04 per box. Minimum order 2 boxes (three months' supply). 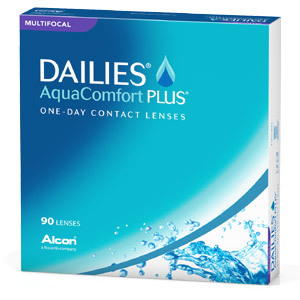 Alcon's new premium lens for presbyopic lens wearers, the Dailies AquaComfort Plus Multifocal provides instant focus and smooth transitions across a wide range of distances - along with supreme comfort from its blink-activated moisture-release system.